And from those fairy tales came MORE fairy tales because fairy tales have an amazing way of bringing truth to light in the most subtle of ways. This quote by author Ursula Le Guin or the one by famed Madeleine L’Engle puts the world of fairy tales into a bigger perspective. And fairy tales have a way of community deep truth that few other tales can do. So…how have fairy tales been woven through some of our more contemporary-published works? I asked readers and they gave me a few to share with you! So, what are some great stories from the last decade that have been inspired by fairytales? Check THESE out! The Not-So-Fairy Tales series by the amazing and hilarious Chautona Havig. The amazing Serena Chase’s series Eyes of A’veria – and the covers are beautiful!!! Melanie Dickerson, the ‘queen of inspirational fairytale-ish spinoffs’ just released a new one based on the story of Mulan called The Warrior Maiden, but if you’re wanting to know about MORE of her fairytale-ish stories, you can learn about the full gamut here. My daughter’s favorite is The Merchant’s Daughter! AND since we’re celebrating fairy tale-ish stories, I’m giving away a paperback copy of my newest novella, Between Stairs and Stardust – a story inspired by Cinderella. This novella came out in the Finding Ever After compilation in February and you can get your copy of ALL four novellas (which are interlinked through the creation of a fairy tale book) HERE for only $4.99! What is one fairy tale-ish story you’ve read recently that you’ve loved? If you’ve not read any fairy tale-ish story, share what one of your favorite classic fairy tales is? Previous Free Books, Giveaways, and Audiobook News! The modern fairytale rewrite Waking Rose by Regina Doman was amazing. It is about a girl who comes too close to uncovering truths which were buried in the past, and which are inconvenient enough to some people that they put her in a deep “sleep.” It comes complete with funny college kid antics, and true love sacrifices. I totally agree! I like both that one and The Shadow of the Bear! The classic fairy tale that I enjoyed watching (I haven’t read it) is Cinderella. My favourite fairytale-ish story is The Fairest Beauty, a medieval retelling of Snow White by Melanie Dickerson! My favorite fairytale is Beauty and the Beast. I especially loved the 2017 version! She writes some of the BEST, doesn’t she?!? I love that fairytales are so great at showing how good conquers evil!! I love Regina Doman’s fairy tale novels, of which Waking Rose, mentioned above, is one. (And my favorite of the series.) Also, Cinder Alia by Karen Ullo. I often read Melanie Dickinson’s books. I am hooked on them! I cannot wait to read “Finding Ever After”! Melanie’s are GREAT! I really hope you enjoy Finding Ever After. I have one name…NIC!!!!!!! I haven’t read any fairytales recently, but I’ve always loved The Beauty and The Beast. I like how the Beast character transforms himself once he experiences love. I love how he transforms too!!!! and the LIBRARY, of course!! I always loved Snow White. When I was in grade school I had a Snow White dress that i loved to wear. Cinderella is my favorite Fairy Tale. i have a few Cinderella articles including a watch that I had as a child. I think my favorite fairytale is Beauty and Beast, but I’m really picky about modern adaptations. As to Cinderella, I’ve liked several adaptations, especially the movie Ever After with Drew Barrymore and Angelica Huston. Oh, yes Lila, the Ever After movie was my favorite retake on Cinderella too! Totally loved it! I love Beauty and the Beast. 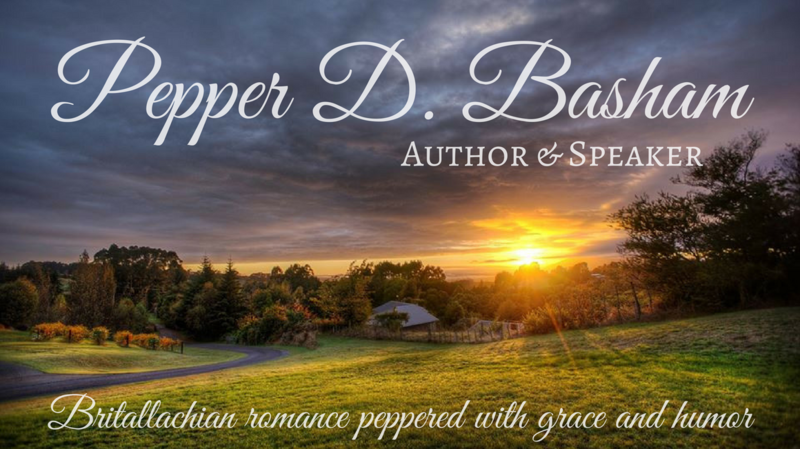 Pepper, thanks to this post I’m discovering some new authors! And thanks for including my silly folks from Jackalopany and Havilund. While I haven’t read any recent fairy tales, I did love Cinderella as a child reading fairy tales.There’s just something so encouraging about having a prince select a lowly servant girl–reminiscent of Christ’s redeeming each of us.